At EmployeeConnect, we understand that there no such thing as one size fits all. So we built our product range from the ground up to be flexible, highly-configurable and accessible for anyone – regardless of their technical experience and ability. This hustle has produced the ECToolkit, a customised portal that allows you to build objects without requiring any coding expertise. The ecDeveloper administration toolset is a sub-component of the EmployeeConnect engine. By adopting this product on top of the regular EmployeeConnect HR software, client administrators, consultants and other professionals are able to create and modify the various applications within the product. Whether this is menus, forms, reports, workflow processes, many of the regular functions can be customised and transformed to meet the expectations of the workforce. 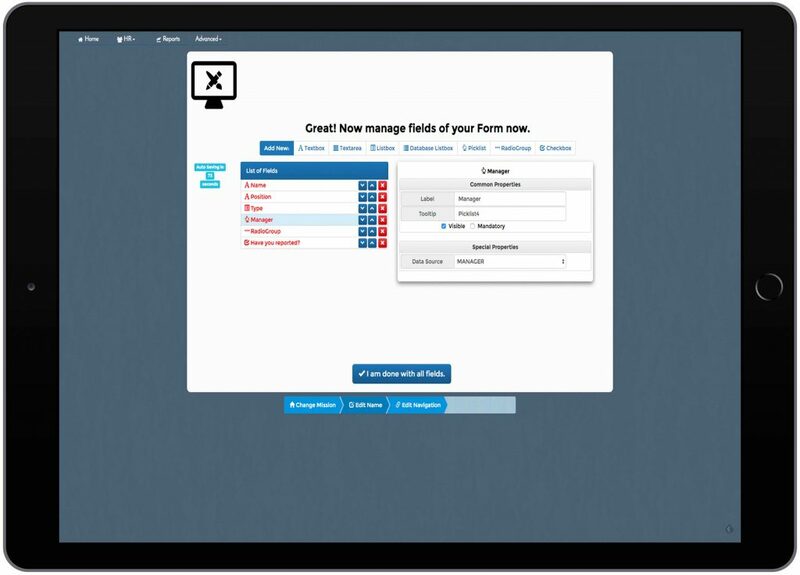 Power up forms with rules driven workflow transporting information between parties with ease and in accordance with functional reporting lines and unique business rules. 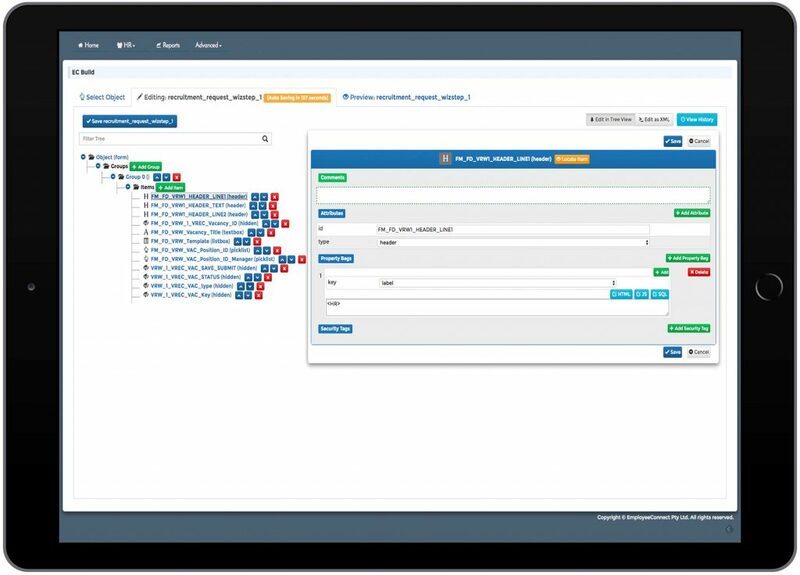 You can build any process with multiple steps that requires review, approval, escalation, notification, confirmation and webhooks integrating with any 3rd party system. Take customisation to the next level. Here is a list of the key components of the ECToolkit administration toolset. Flexible security architecture supporting internal EmployeeConnect authentication, external username/password authentication, third-party product authentication, Active Directory, and single sign-on configurations. User authorization profiles configurable to the specific business environment, i.e. position, org unit, location, etc. Roles and groups can be defined using any of the underlying employee data shared within the system. Simple creation of forms and reports based on the underlying database structures. Integration with desktop products such as Word and Excel. Employee Connect Workflow Engine supporting client-defined workflow processes, with integration to email and SMS. Support for multiple languages and character sets. Event driven system reminders can monitor key employee dates and trigger emails and workflow processes. 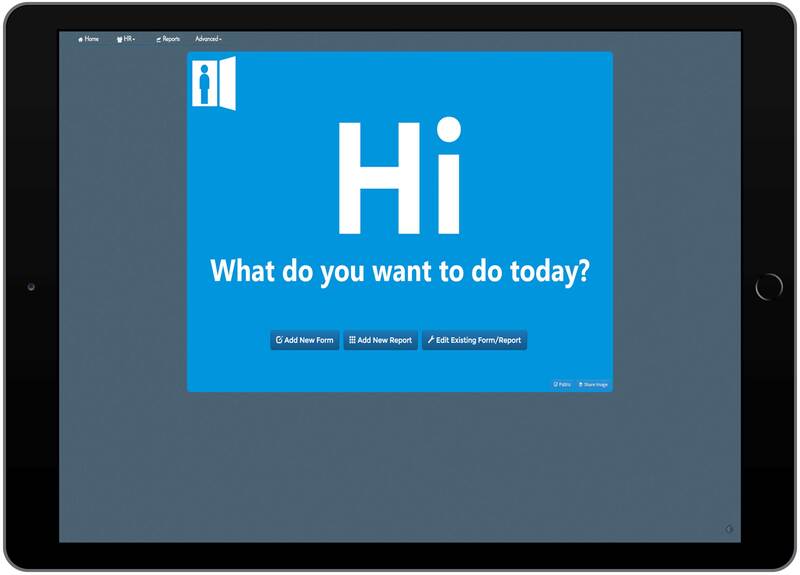 Taking control of your HR software is simple with ECToolkit. With a simple click of your mouse, you can create a new world of functionality and shape your HR department as you wish, no catches involved. In fact, you don’t even need to learn code to effectively customise your system – magic! Moreover, there are a number of other benefits to this option. Here are two examples. There is no doubt that IT costs can soar especially when it comes to system customisation. Depending on the size of the network or workforce, this could be an extremely expensive exercise and repeated whenever maintenance or changes are required. However, by taking care of this process yourself, these costs are eliminated and can be allocated elsewhere in the enterprise. This may give you the confidence to investigate other IT projects without a developer in the future. 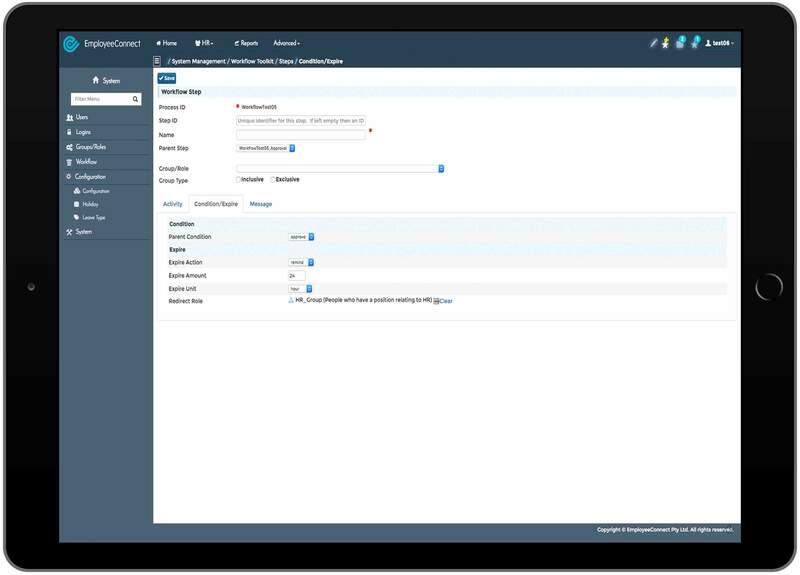 One of the key benefits of the ecDeveloper administration toolset is that you can configure and customise at your own pace. If you need passwords changed or profiles amended, these changes can go live when you need them.